Leaving for Vacation? Consider an In House Pet Sitter! When you’re away from home, you need to be able to relax without worrying about your beloved pets. If you want to be able to travel without worrying about the health and safety of your animals, consider in-house pet sitters. Home pet boarding offers numerous benefits for both pet owners and their furry friends. By hiring a professional, you’ll be doing both yourself and your best friend a favor. 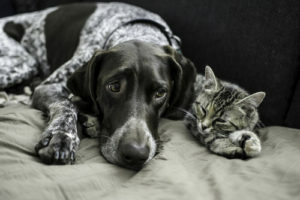 One of the primary benefits your pet receives when you pay for in home pet boarding is the ability to keep your furry friends in a comfortable home environment. Animals often get stressed out when their owner leaves for vacation. There’s no need to further this stress by moving the animal a noisy boarding kennel. In home pet sitters watch your pet in their own homes, allowing your animal to socialize and relax while you’re on vacation. In-house pet sitters are ideal for your furry friends because they are committed to creating a comfortable, normal environment for your pets. These sitters have comfortable, pet-friendly homes and offer plenty of love and play time during their stay. Most in-home pet sitters also have animals of their own, meaning your dog or cat will have playmates while you’re away. Not only do in-house pet sitters play with your furry friends while you’re away, but they also offer the love and care all animals need. Canines and felines can become depressed when their best friend is away on vacation. The extra love and attention a professional pet boarder offers is often needed. Home pet boarding is also beneficial if animals suffer from medical issues. Your pet sitter will be able to handle any health related emergency your animal may suffer from when you’re away. In home pet sitters allow you to enjoy your time away from home. You won’t need to worry about any issues regarding your pet because it’ll be taken care of by the person you hired. Your pet sitter can also call with daily updates and send lots of great pictures while you’re gone. Instead of begging your friends, family, or neighbor to watch your furry friends – it’s much better to hire a professional. You won’t have to impose on those you care about, and that awkward moment where no one knows if payment needs to be rendered can be avoided. When pet owners in Virginia find they need to get away, but want to keep their animals safe – there’s only one call to make. Paw Pals is your one-stop shop for all home pet boarding services and more. We look forward to loving and protecting your pets. Proudly serving the Manassas, Centreville, Clifton, Fairfax, Fairfax Station, and Chantilly communities in Virginia – we are always available. Get in touch today so we can begin planning how to care for your furry friends.